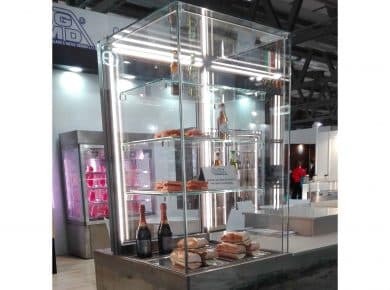 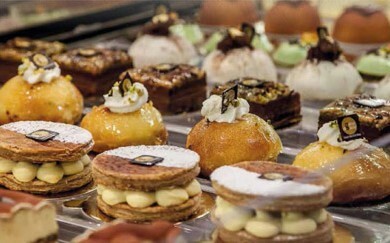 Showcase for snacks and gastronomy with glass structure, patented by Moving Glass & metal Design. 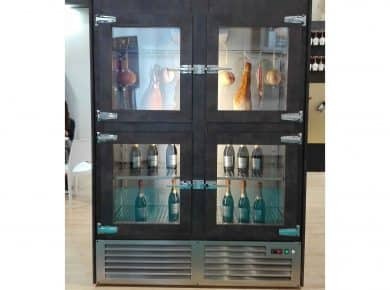 Refrigerated cabinet for cheese, charcuterie, wine with a vintage design. 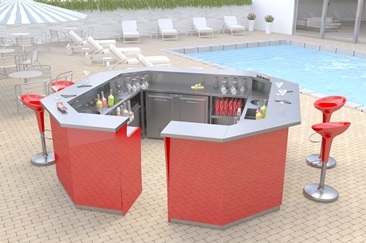 Modular bar, easy to assemble and disassemble furniture for indoor or outdoor location. 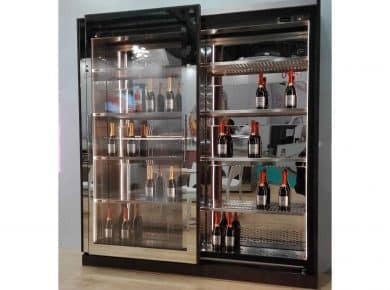 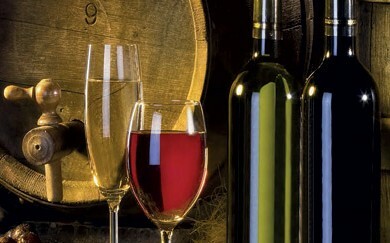 The new line of refrigerated cabinets and refrigerated rooms for white wines, red wines, meats and cheeses.